Hosting a social gathering or event does not need to be a stressful experience, as many downtown Dallas establishments are available for private parties. If you are organizing an event that is too large to host at your home, it makes sense to look into booking your private party at a local restaurant or bar to ensure that your downtown Dallas events are always a success. Booking a private party at a local establishment can lessen the headaches that come with hosting a large event. Downtown Dallas is known for its vibrant nightlife and the many quality outposts of food and drink that populate the area. Whether the event is for work, family, or friends, there are many options available for hosting top-notch downtown Dallas events. If you are in charge of planning downtown Dallas events for your group, you can have one of downtown Dallas’ premier locations take care of all the details while you are able to spend time with your guests! When you book your event at one of downtown’s great spots, they will take care of all of the food and drink needs for the event while you are freed up to take care of your guests. It’s a win-win for everyone! Don’t be overwhelmed by your host or hostess duties or worry about having your celebration at home, with all of the fantastic places available in downtown Dallas, holding your celebration at one of them is a no-brainer! Whether it is a work event, family gathering, or celebration of a birthday or anniversary, downtown has the right place for your party. 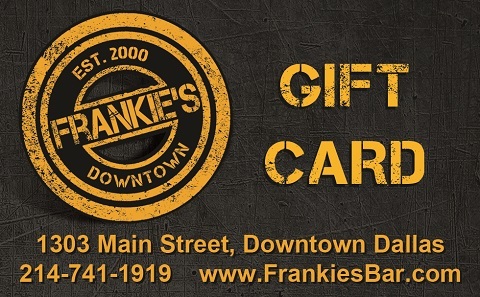 Frankie’s Downtown is a two-level restaurant, sports bar, and performance space that is open for Lunch, Dinner, Happy Hour, Weekend Brunch and Late Night until 2 am. 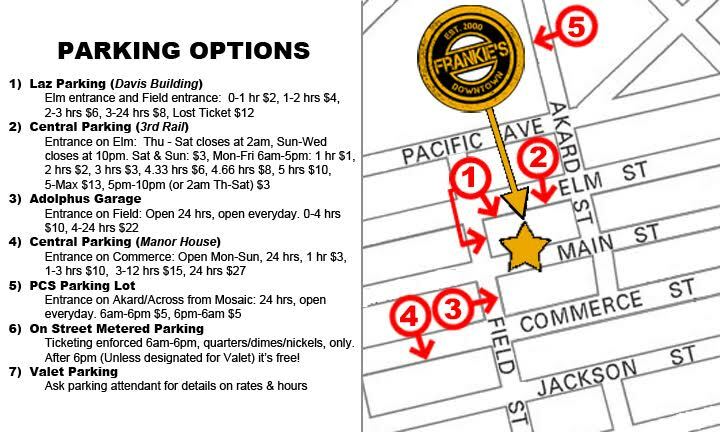 Located on Main Street, Frankie’s Downtown in Dallas is available for private events of any size.